Today we are happy to follow up a recent article in which we asked our readers to submit their choice for America’s favorite Dessert food truck or cart. We had nearly 1000 individual submissions so it took us some time to tabulate the results. Will The Cookie Monstah of Boston, MA recapture their 2015 title or will we have a new winner in our 2016 Dessert Food Truck Of The Year contest? The choice is yours. Now that the submissions have been counted we have our a top 10 dessert food trucks to choose a winner from. 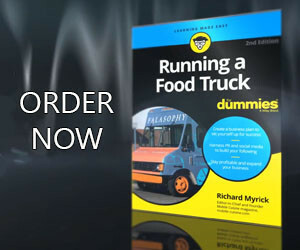 If you are a food truck that feels you should have been included, we apologize. The trucks selected for this poll were determined by our readers, and by the number of votes they received in the first phase of the contest. This poll will stay open for 2 weeks to make sure everyone gets a chance to vote for in the poll and the truck operators will have a chance to let their fans know to come help them collect votes. The poll will close on November 25th at 11:00 PM ET. The results will be announced on the following Monday. If you run into issues with submitting a vote in the poll, you can submit via email us at contest(at)mobile-cuisine(dot)com), however we will be making sure that only 1 vote is counted per person per day. The winner of this contest will be featured on Mobile Cuisine in a feature article, to help share information about the vendor, their menu, and how they came up with the idea for serving their tasty desserts. Tell your friends and family to help spread the word for our 2016 Dessert Food Truck Of The Year contest.